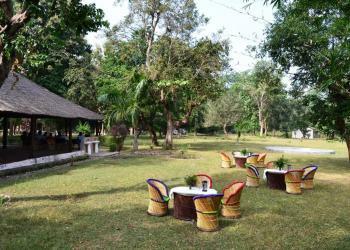 Corbett Jungle Treasure is indeed a treasure hidden in between the natural habitat of Jim Corbett. Located at the banks of the Kosi River in Dhikuli. 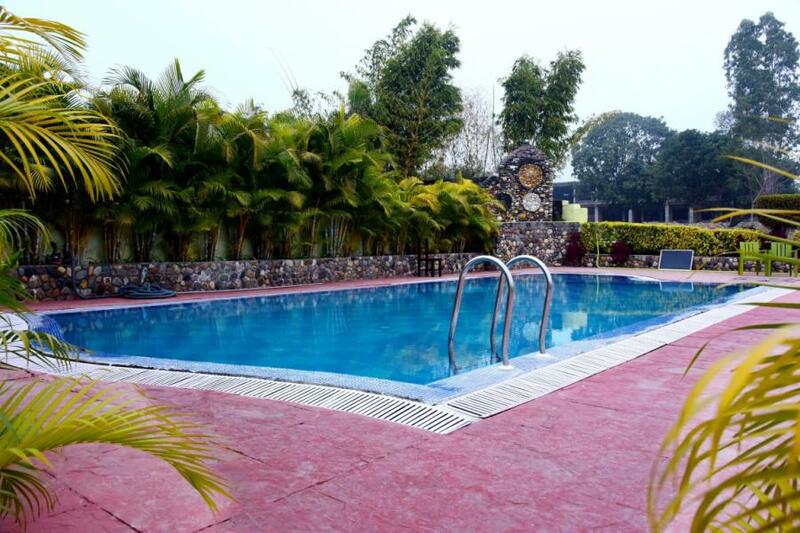 Provides facility of 18 river facing rooms as well as a swimming pool on the edge of river. Inhouse activities include billiards, carom, bedminton etc. In winters they provide bonfire in lawn area with a light music. It is counted among the best recommended budget resorts in Jim Corbett.There is 3 types of room categories Deluxe rooms,Execuitve rooms,Family Room.All rooms are spacious equipped with all luxury amenities like neat and clean linen,Led,Air conditioner,Tea Coffee maker,Room heater,etc.Corbett jungle treasure is one of the best recommended budget resort in jim Corbett. 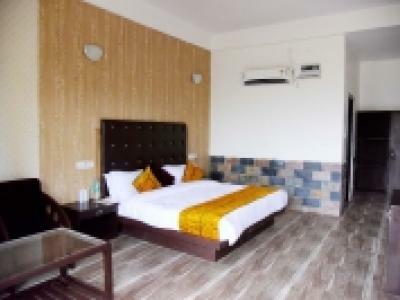 The deluxe rooms are spacious and clean with attached balcony. 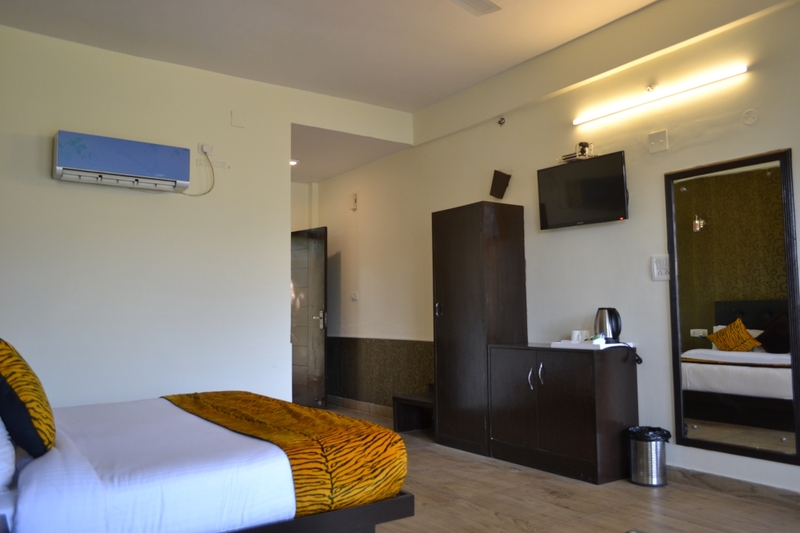 Interiors are well decorated with dark wood furniture and white marbles and tiles. Each room has twin bed with side tables, study tables, cupboard and a dressing area. 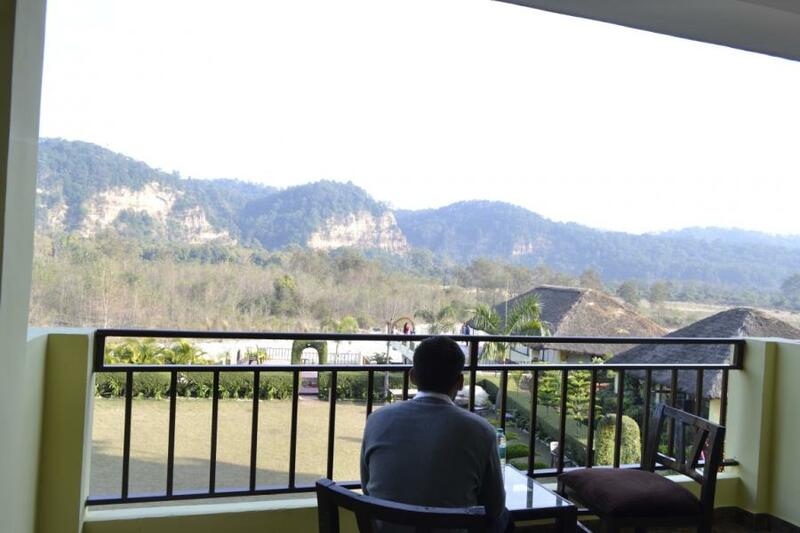 The Executive river facing rooms are spacious and clean with attached balcony. Interiors are well decorated with dark wood furniture and white marbles and tiles. Each room has twin bed with side tables, study tables, cupboard and a dressing area.